Jose Mourinho showered hope upon the entire fanbase after Manchester United‘s 1-0 win over Young Boys, with his comments regarding the future of David De Gea. “Without David’s save, no winning goal,” admitted the Portuguese tactician, before going on to highlight the importance of keeping the Spanish international at Old Trafford. “He is a world-class player. He is the best goalkeeper in the world and, if our ambitions are to be a big club, to be a winning club, you need the best goalkeeper in the world – and you need also some other players the best in the world,” the gaffer added. Just a day later, there seems to be a huge positive update regarding the shot-stopper’s future. According to Evening Standard, David De Gea has finally let the Mancunian giants know that he is ready to commit his future to the club. However, there is one crucial condition: The goalkeeper will only accept the new deal if his salary is shot up to £300,000-a-week, effectively making him one of the highest paid players at Manchester United. 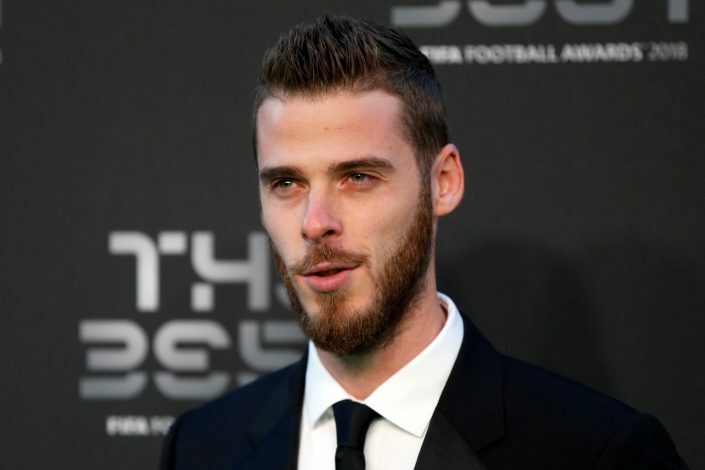 The ball seems to be in the Red Devils’ court entirely now, as De Gea has openly expressed his desire to stay put in Manchester. It is now up to Ed Woodward and co. to show how far they are willing to go in order to keep hold of their world-class custodian. If the 20-time English champions fail to meet the 27-year-old’s demands, he has viable options at the ready, as Juventus and Paris Saint-Germain remain eager to secure his services.